And we’re back to work with another entry in Project Chekov. 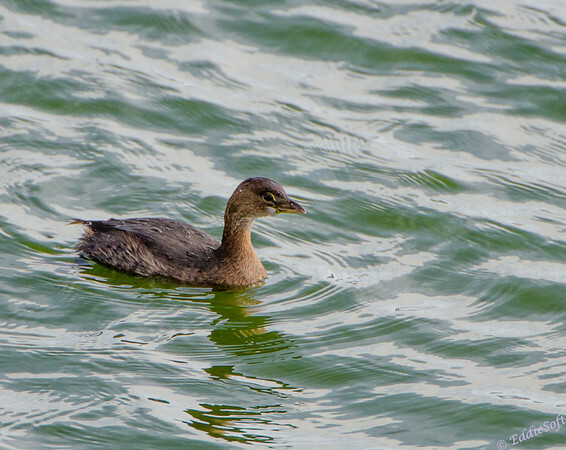 Today’s featured bird is the “Chicken of the Water”. 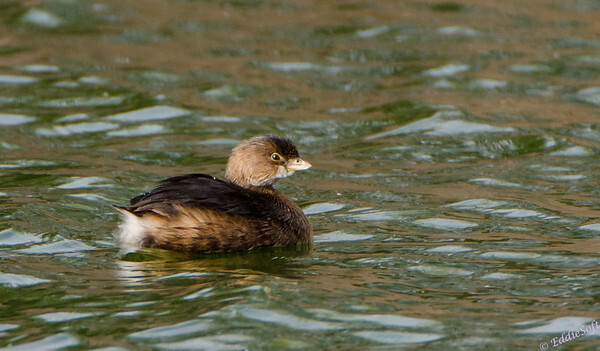 Well, that is what I call it since, in my humble opinion, it looks like it is a chicken and it is found in the water. Pretty creative eh, just missing the Sea part and then it would have been really funny .. or maybe not. This is not the first time this particular bird has graced the pages of LifeIntrigued. It was also featured in the Henderson Bird Viewing series (link here), so no check mark here. The good news is I think these pictures are better than the previous set – I think it is a younger one. 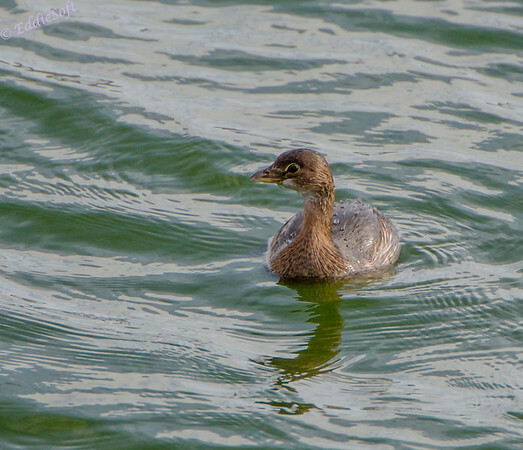 In case you missed the previous post, this cute little water bird is a Pied-Billed Grebe. Looks like it is in the Winter plumage based on the missing band around the bill – could just be young, but going with the Winter version for now. 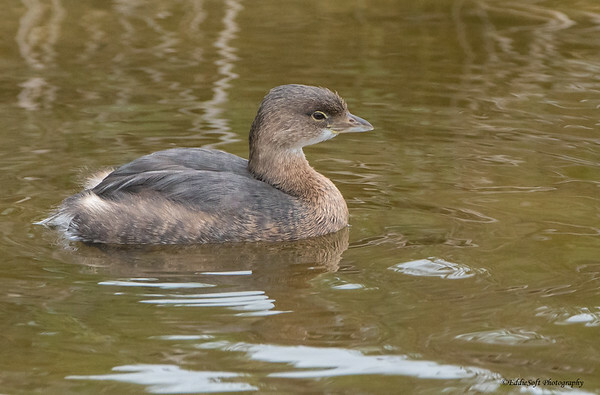 As with many of the birds of late, this Grebe has North America covered either all year round or in the Summer months when it pushes North towards/into Canada. They are sans webbing between their toes and instead rely on lobes on the toes to move about the water – I believe this is the same situation as the Coots (link here). I lost a little of the eye glint in this shot, but you know I’m always looking for that cross body head shot. 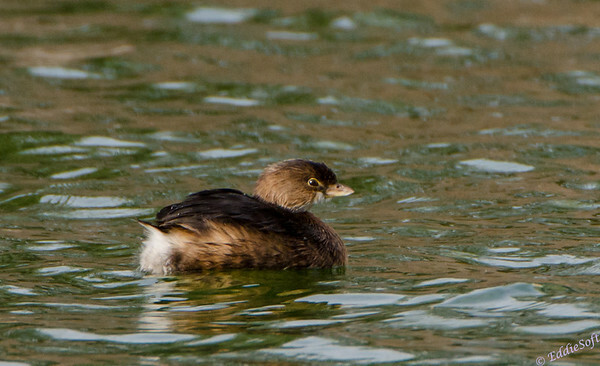 So like the the Loon (link here) the Pied-Billed Grebes have their legs positioned far back on the body. It isn’t stated over at Wikipedia, but pretty sure this makes them awkward on the land. They even nest on the water which was news to me – disturbances by boats/waves during their breeding season can ruin their nests (suckage). It did mention they prefer being on the water and rarely use that envious capability of flight. When in danger they simply dive underwater and swim a great deal of distance to safety – even keeping their body submerged while poking their head above water to see if the danger has passed. Both parents will carry their young on their backs (even diving). This is the composition I’ve been desperately trying to get in my portfolio. So far, no luck, but I’ll keep trying. That’s it for today boys and girls, it is core night and the longer runs don’t take pity on weak abs. See ya’ soon and keep an eye out for those water chickens!